There'll be plenty of dames and double crosses next month on Old Hollywood Films. 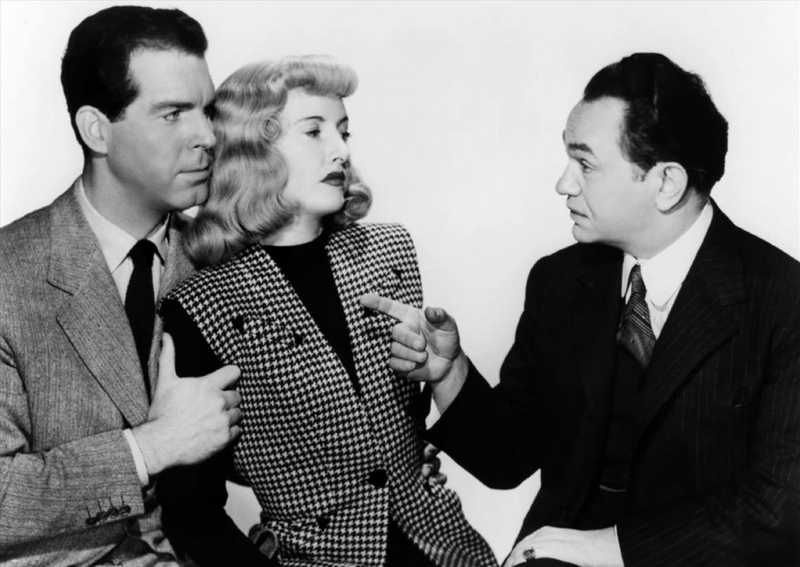 - Our movie of the month is Billy Wilder's Double Indemnity (1944), starring Fred MacMurray, Barbara Stanwyck, and Edward G. Robinson. I'll be looking at all aspects of this great film noir, including features on MacMurray and Stanwyck's screen partnership and the many noir tropes found throughout Double Indemnity. -I'll celebrate TCM's Summer of Darkness with a Noir of the Week. -My top picks will focus on fathers in classic Westerns, starting with Shane (1953). -Old Hollywood films will be part of three great blogathons. First, I'll take a break on the French Rivieria with a feature on To Catch a Thief (1955) for the Beach Party Blogathon on June 8-12. Then, I'll cover the Hollywood noirs of the early 1950s for the Classic Movie History Project Blogathon on June 26-28. Finally, I'll have a post on the filibuster scene in Mr. Smith Goes to Washington (1939) for the "...And Scene!" Blogathon on June 25-28. Looking forward to your work in June. You're hitting my happy places - noir and Shane. Thanks! I saw you were writing about fifties Westerns for the movie history project. I can't wait to read it. Westerns don't get enough love.